How do you take a food truck business strategy down from platitudes and execute it day to day when your food truck is on the street? Well, today you’ll find out how. Your food truck’s business strategy must first begin in the clouds. Then it must level out by creating tactics while on approach. Finally, your food truck business strategy must provide specific business activities when your truck lands at your next stop. In other terms you have to create an identity, find a target market and then provide a service. 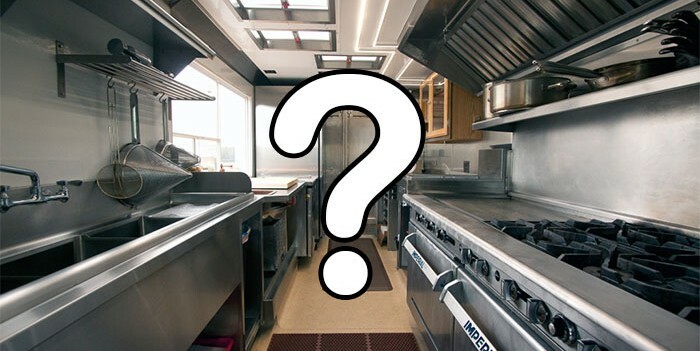 How is your food truck different from all others? How would a customer describe your food truck? Answers to these types of questions to build your food truck’s unique identity. Your identity might also be about your core competence, what your business does very well, better than your competition. Your food truck’s identity may be linked to fast service, response to customers, keeping a fresh menu or coming up with something that nobody else has. This is your unique identity. Your food truck’s target market is usually a collection of strategic choices you’ve made. Your target market should ideally match your food truck’s identity and your menu. No matter what you serve, most food trucks find that their menu draws a particular type of customer. This is the food you serve, the food products you sell in grocery stores, and/or the catering services you offer. Your specific business services will likely work best when you match your and your choice of target market. See how each of these areas aligns with the others? The business strategy in the clouds depends on tactics created and their execution. 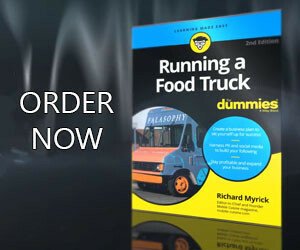 These tactics are built on the specifics such as dates, deadlines, budgets and responsibilities of each of your food truck team members. As always, we will assume that your food truck’s identity is based on great tasting, local food. Your identity related tactics might be as simple as finding people to work for you that want to do the same thing. The specifics might be to provide employee policies, compensation plans, and benefits to attract these types of individuals. Your food truck’s strategy, then, would be to market to consumers who appreciate locally sourced gourmet food. The tactics used for this market would include pricing, signage, messaging and promotions. The key is that they would need to match what works for that target market. The locations you park your truck would also need to match your target market as well. One example of specifics might be dates and deadlines for special gourmet events for your menu, or dates and budget for sponsoring a related local event, like a gourmet food truck cookout competition. As for your service, your food truck might put fresh gourmet food that is locally sourced at the top as your strategy. Your tactics would include what kinds of foods to offer from your menu. And the specifics would include the menu and pricing, the daily specials, the sourcing of the food, how often you change your menu. A good food truck business strategy may be hard to define but it is certainly easier to recognize when you see positive results. Take some time to think about your food truck and a business strategy. Taking this time to review your mobile food business will give you a better idea of what you’re doing well and what you need to improve.